Apple's announcement from January 2 that it was anticipating revenue of $84 billion for the quarter, below its forecast of between $89 billion and $93 billion, triggered criticism from financial institutions and analysts offering somewhat pessimistic takes on the company's fortunes. While the stock price has taken a hit of over 30 percent on the last three months of trading, including a drop after its guidance announcement, it is suggested by Morgan Stanley the worst has passed for investors. 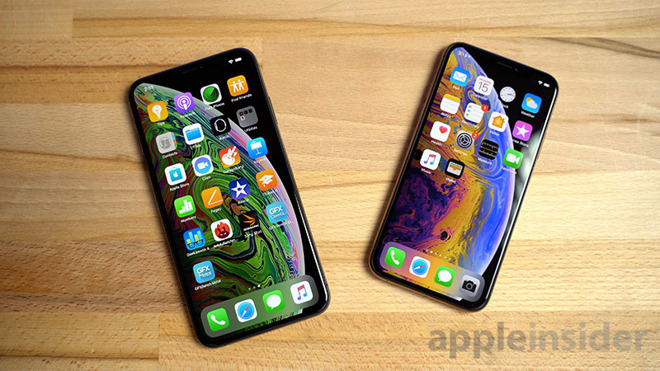 "We believe the recent pullback is an attractive entry point given upcoming services launches and shares already pricing in extremely cautious iPhone replacement cycle and average selling price headwinds, Morgan Stanley analyst Katy Huberty advised to investors on Friday. In December, Morgan Stanley cut its price target for Apple from $253 to $236, citing the slowdown in the Chinese smartphone market and the longer upgrade cycles by consumers. After Apple's revenue warning, the firm cut the price target further to $211, a target that Morgan Stanley maintains while rating the company as "overweight." The upcoming quarter's revenue is likely to be important for investors, in terms of what to expect for the rest of the year, Morgan Stanley suggests. "March quarter guidance will provide a base for forecasts during the remainder of the year." While the suggestion is to buy, Morgan Stanley adds Apple "likely needs to deliver a 'better than feared revenue' outlook for shares to recover further in the very near-term," meaning it may not be a good prospect for those wanting to see a quick return to form. Predictions for the results put Apple's gross margin at 38.4 percent. The earnings per share is currently pegged at $2.65. After speaking to investors, Huberty advises "we believe the stock could trade up on revenue and gross margin guidance range of $58 billion and 38 percent at the mid-point respectively," but adds "guidance meaningfully below these levels would fuel the bear case." Services continues to be a highlight for the company's overall financial picture, but there is apparently concern of a potential slowdown of the typically reliable growth for the arm. "The most common question we have fielded from investors is what caused reclassified Services revenue growth to decelerate to 18 percent year-on-year from an estimated 25 percent in the September quarter," the note advises. As Apple offered little detail about why in the pre-announcement, Morgan Stanley expects Apple "to address the drivers of Services revenue" during the earnings call. Consensus estimates put Services growth to 14 percent year-on-year against Morgan Stanley's expectation of 19 percent, "suggesting the bar is low and any indication of temporal factors impacting December performance would be read positively." It is reckoned the slowdown is temporary in nature, with fewer iPhone purchases hitting AppleCare sales said to be a main contributor, along with "Licensing and Other" which includes legal settlements from earlier in the quarter. Apple's ongoing original video content project is seen as a potential way for Services to boost its annual growth, with an "OTT video offering launch" expected in the spring. A recent announcement from the Chinese government providing a fourth batch of gaming license approvals may also help increase the number of games in the App Store, and in turn increasing in-app purchase revenue.